Reminder. 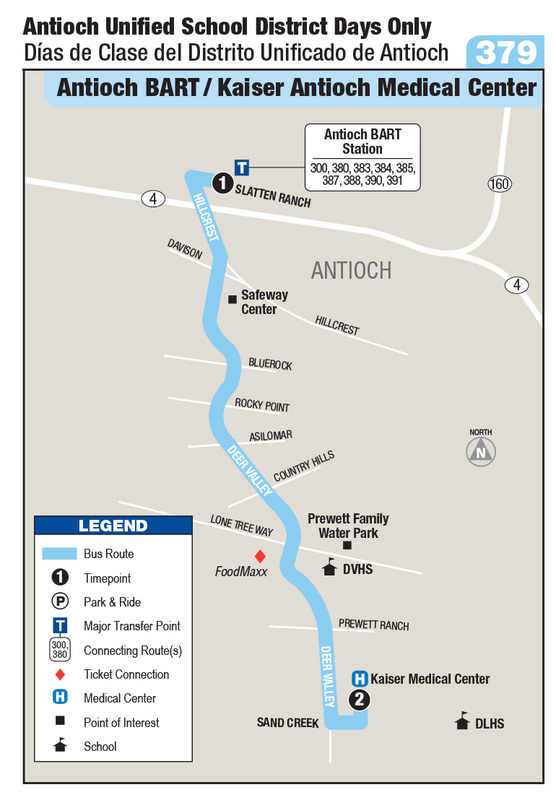 Route 379 operates on the Antioch Unified School District calendar. Service is only provided when school is in session.